1. 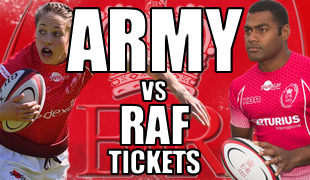 The Army Rugby Union Membership Scheme, known hereafter as ARUMS, is a scheme that provides Army personnel who have, and continue to, promote the game across the Army with access to England international tickets. a. Annual Membership by Subscription (Membership fee – £25 per year). b.	Entitlement to bid for International Tickets on repayment. 1)	Serving member of the Army. Including Regular, Army Reserve and FTRS personnel. Retired officers or soldiers may apply for membership if they have made a significant contribution to rugby in the Army. 2)	There will be a maximum of 300 members of ARUMS; once this ceiling is reached applicants will be consigned to a waiting list until a vacancy arises. 3)	Membership will be for a maximum period of 3 years. Members can re-apply at the end of their membership period however may have to join the waiting list if there are no vacancies at the time of re-application. 4)	Successful applicants must pay by subscription to the scheme annually on 1 September. 5)	The ARU reserve the right to refuse membership to personnel who they deem not eligible for membership, or indeed rescind membership at any time should members no longer meet the conditions of the scheme or breach the terms and conditions of ticket application and purchase. 6)	The cost of subscription will be set by the ARU Management Board and may increase if necessary to cover the costs of administering the scheme. Members will be informed of any increase prior to 1 September each year. 1)	The right to attend the ARU AGM as a non-voting member. 2)	The right to bid for International match tickets. 1)	Members may only apply for International match tickets through the ARU by using the designated proforma which will be posted to members prior to matches. 2)	Membership does not automatically give members the right to international match tickets. 3)	Tickets will be allocated to ARUMS members by the ARU, who reserve the right to allocate tickets in a fair and equitable manner. 4)	Members must provide accurate credit/debit card details on completed ticket application proforma, failure to do so will prevent the processing of the application. 5)	By signing and returning the ticket application proforma, permission is given by the member to allow the ARU staff to debit their card for the full face value of allocated tickets plus P&P. No payment will be taken if tickets are not allocated. 6)	Applications must be received with the ARU by the date stated on the application proforma, applications received post this date will not be considered. 7)	The ARU send all tickets by registered mail; once the ticket has left the ARU office the ARU accepts no responsibility for the delivery thereof. The ARU does not accept any responsibility for tickets that have been lost or stolen and no refund will be offered or made. The RFU/ARU reserves the right not to replace lost or stolen tickets. Any request for duplicate tickets must be made to the ARU office no later than 48 hours before the date of the match in order for this to be requested through the RFU ticket office. Any requests notified later than 48 hours will incur a £25 administration fee payable to the ARU. The RFU ticket office charges £10 per duplicate ticket printed, payable on collection of your tickets. Tickets will only be reproduced by the RFU once; a duplicate ticket overrides the original ticket which will no longer be able to be used to gain access to the stadium grounds. Away Host Unions do not offer a duplicate ticket service. 8)	Ticket allocations and sale are subject to the terms and conditions of the RFU. This prevents their re-sale to unauthorised agents (such as ticket touts, unauthorised hospitality companies or ticket re-sale companies such as Stub-hub) or to other third parties above the face value that is stated on the ticket. Members are not to auction or re-sell tickets on internet web-sites such as ‘ebay’, each ticket has a unique serial number and can be traced by both the RFU and the ARU. Action will be taken against members found contravening these terms and conditions. 9)	The ARU will not allocate tickets based solely on the fact that members have booked flights and or accommodation to venues where matches are to be played. 10)	The ARU makes every effort to allocate tickets next to each other, however due to the allocation received by the RFU/Away Host Unions this is sometimes not always possible. The ARU will always endeavour to allocate tickets as close to each other as possible. 11)	Members may not dispose of tickets to other parties if they are not required by for a member’s personal use. They should be returned to the ARU no later than three weeks before the date of the match in order to be re-allocated. If the ARU is unable to re-allocate returned tickets no refund shall be issued. 12)	There has been an increase in members bidding for tickets, being successfully allocated them, to then ask to cancel and receive a refund. This causes an additional workload with no guarantee of the ARU being able to reallocate them. By having completed and signed a returned ticket application members are agreeing to the above stated terms and conditions and have entered into a binding contract to abide by these conditions and fully commit to purchase any tickets allocated to you and attend the match. 13)	The ARU reserve the right to withdraw ticket allocations as they see fit. 1)	The ARU Management Board reserves the right to amend these terms and conditions at any time without the consent of ARUMS members. 3)	Subscriptions are non-refundable and will be paid into the ARUMS account held at Holts RBS, account number 10526965 sort code 16-19-26. Payment will be collected by standing order or direct debit. Members are responsible for setting up the correct mandate with their own banks. 4)	There is no right to appeal should membership applications be rejected or membership terminated as detailed above. 5)	The ARU are committed to protecting the data of its members and are compliant with the regulations detailed within the Data Protection Act 1998.